Overnight flight to Tel Aviv. Get ready to enjoy one of the best tours you have ever had in your lifetime. IBMT with its own operations office in Jerusalem is dedicated to give you personal service to each and every one of you. After arrival at Ben Gurion airport, you will be met by IBMT Tours representative and transfer to your hotel in Tel Aviv. Remainder of the day is free to spend at lei-sure. Take advantage of this opportunity to mingle with the locals. Shop at the amazing shopping malls, relax at an authentic Israeli restaurant and enjoy the amazing food Tel Aviv has to offer, or just enjoy a relaxing day at one of the beautiful beaches. Overnight in Tel-Aviv. Start the day with a visit to the Independence Hall where the establishment of the state of Israel was declared. We will continue to Latrun to visit the Armored Corps museum, one of the most diverse tank museums in the world. 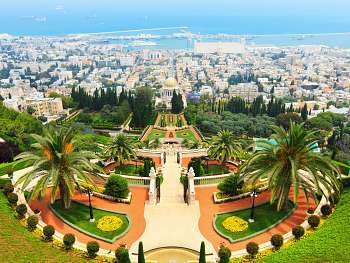 Then you will get to view the new and amazing "Mini Israel" miniature park which includes miniature replicas of the most important landmarks and buildings in Israel. Continue the day with a visit to the Ayalon Institute, once an ammunition factory for the Hagana, which means "The Defense". Hagana was a Jewish paramilitary organization in what was then the British Mandate of Palestine from 1920 to 1948, which later became the core of the Israel Defense Forces. Overnight stay in Tel Aviv. Visit the Diaspora museum, The museum opened in May 1978 and at that time was considered as one of the most innovative museums in the world. 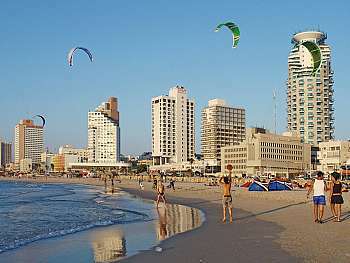 Enjoy a drive around the main streets of Tel Aviv, the center of business and entertainment of Israel. Stop at Rabin's Square, the place of assassination of Prime Minister Itzhak Rabin. 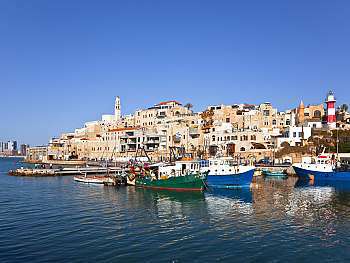 Continue to Old Jaffa, an 8000 year old port city. Visit the ancient ruins and walk along the restored artist's quarter. Visit Neve Tzedek, the first neighborhood of Tel Aviv, built in 1909 and Nahalat Benyamin, the pedestrian street of the city with its musicians, handmade jewellery and artifacts. Next, stop at Sheinkin, the lively and colorful street especially known for its unique chic shops, vibrant cafe life and youthful ambiance. Overnight stay in Tel-Aviv. Enjoy another day to explore on your own the different venues Tel Aviv has to offer. If it is the local bazaar, Shouk Ha Carmel, or the old train station, the different restaurants, or just enjoy a walk on the beautiful boardwalk along the beach. Overnight in Tel Aviv. Start the day with a view from Mount of Olives. Drive to the Old City. Visit the Tomb of King David and the room of The Last Supper on Mount Zion. Enter the walled city and walk through the newly restored Jewish quarter. 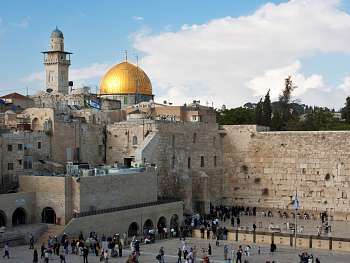 Visit the Roman Cardo, the Herodian quarter and continue to the magnificent Western Wall. Take a spiritual walk along the Via Dolorosa to the church of the Holy Sepulchre. Continue to Bethlehem view Rachel's tomb and proceed to visit the Church of Nativity and manger's square. The church was originally commissioned in 327 AD by Constantine and his mother Helena over the site that traditionally considered to be located over the cave that marks the birthplace of Jesus of Nazareth. Overnight stay in Jerusalem. 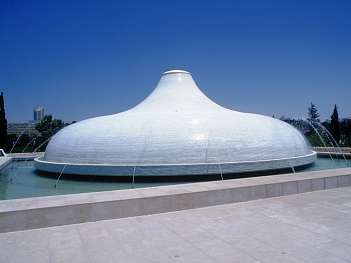 Depart to the Israel museum. Visit the Shrine of the book where the Dead Sea Scrolls are housed and the miniature model of Jerusalem as it was during the second temple period. Proceed for a tour at the Knesset, Israel's parliament. Continue to visit Mount Herzl cemetery and proceed to Yad Vashem, Israel's official memorial to the Jewish victims of the Holocaust, established in 1953. Visit Mea Shearim, the ultra orthodox neighborhood in Jerusalem and learn about their unique lifestyle. In the evening enjoy a Middle Eastern dinner followed by the spectacular "Sound & Light" show* at the Tower of David museum. (Weather conditions permitting). Conclude the day with Dinner and Overnight stay in Jerusalem. Drive through the beautiful Judean Desert to the Dead Sea, which surface and shores are 423 metres (1,388 ft) below sea level, Earth's lowest elevation on land. Stop at Qumran to visit the site where the Dead Sea Scrolls were found by a Bedouin boy in 1947. Drive along the shores of the Dead Sea to Masada. Ascend by cable car and tour the ancient fortress where the Zealots made their last stand against the Romans before committing mass suicide in 73 AD. Descend by cable car. Continue to the Dead Sea. Cover yourself with the mineral rich mud and experience a swim in the Dead Sea. It is said and many believe that it has therapeutic effects. Overnight stay in Jerusalem. Enjoy a stroll on your own at the Old City of Jerusalem. Visit the local colorful bazaar were you can work on your negotiating skills, or visit the local cafes or amazing restaurants and get a feel of local habits and mentality.